Thank goodness we can say “It’s Spring!” even if there’s lingering snow on the grass and more in the forecast. It is a season of hopefulness and newness. 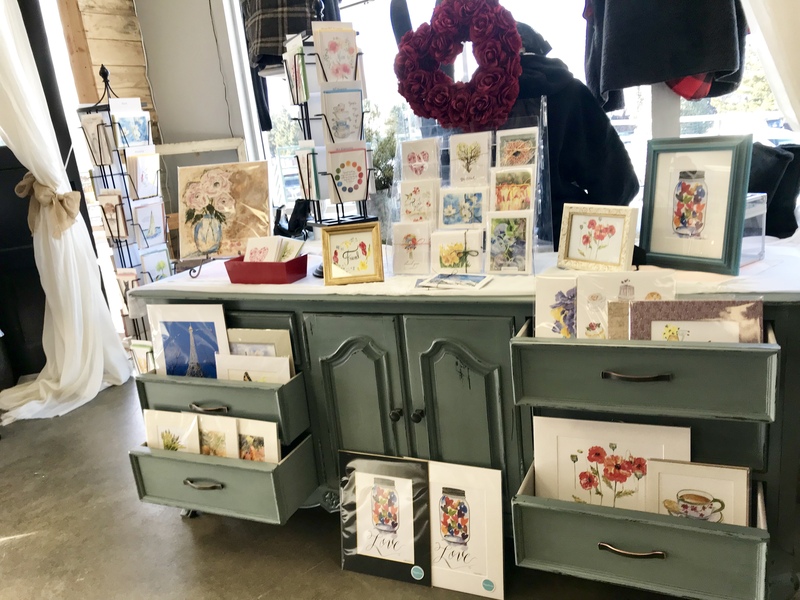 Recently I joined a group of local makers and artists displaying their art at Unlisted Market! 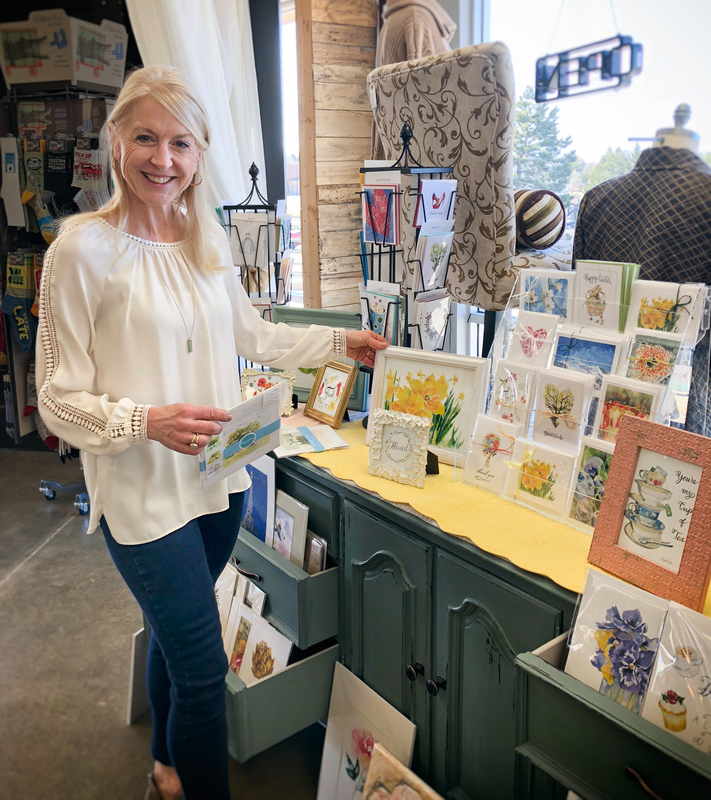 When Karli Millspaugh asked to have my greeting cards on display, I thought why not! Doesn’t this blue dresser make for a fun Hopscotch Art shop? Since art is meant to be shared and greeting cards should be in mailboxes, I set up my little space. This day I was restocking and touring Unlisted with my dear friend, Wendy. In other news, registration is now open for Spring and Summer classes. Here are two classes at Curtis Arts that start up in April and May. We’re opening up sketchbooks and capturing what we see starting April 30 for four Mondays. It’s fun to pack a small bag with only a travel set of watercolors, a pencil, a Micron pen, and an open mind! Some of our happiest moments can be captured in our brushstrokes ~ so much more meaningful than a photo on the phone. Registration is open now! Lots of you have requested a weeknight class after work or school. So I’m offering a brand new 4-week Thursday night class in May just as the evenings get longer and spirits get higher. 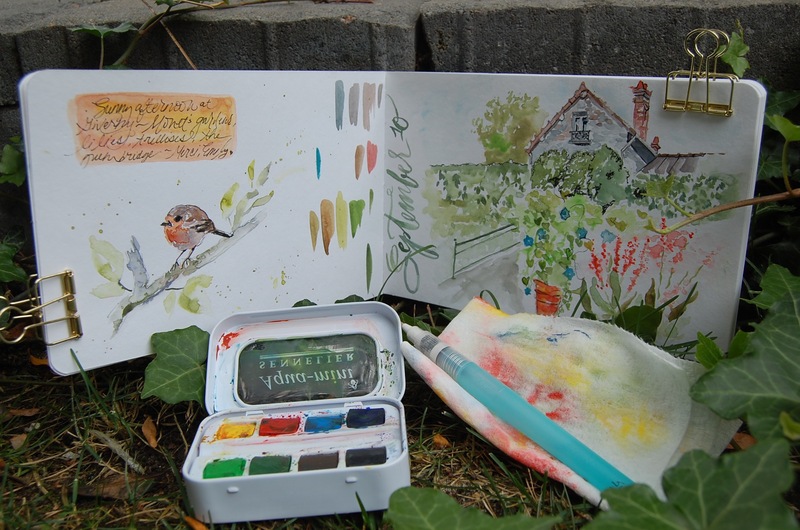 Beginning Watercolor Adventures is an introduction to this beautiful medium ~ learn to mix paints and water to create transparent paintings of flowers, trees and birds. 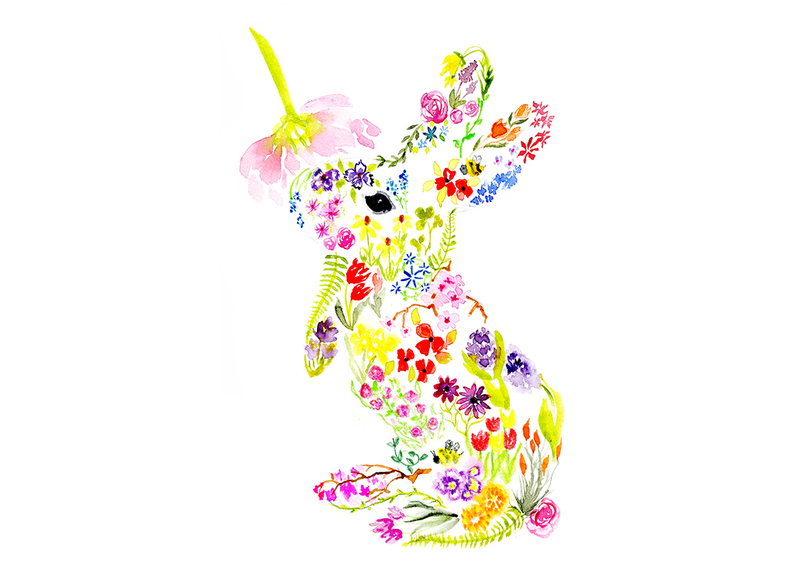 Talk about embracing Spring!